A policy on rare genetic diseases like Progeria that causes premature ageing or Lysosomal storage disorders such as Pompe disease and Gaucher’s disease will soon be formulated by the Delhi government. 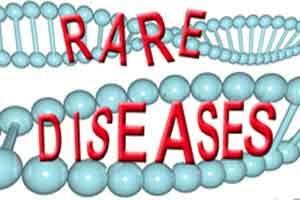 The motive is clear- to form a committee to tackle these rare diseases. The committee panel will constitute representatives from the medical community in the capital, which includes the director of Maulana Azad Medical College Dr D K Tempe, GTB Hospital medical superintendent Dr Sunil Kumar, Lok Nayak hospital medical superintendent Dr Y K Sarin and health department additional secretary Dr R N Dass. As implied by officials, the core objective of the committee is to frame a policy, besides update a list of guidelines to monitor rare diseases. It will also identify best practices in the area of donations in healthcare, in addition also identifying new methods to attract spending in health care. As reported by TOI, it has been formed on the directions of the Delhi high court, in connection with a plea filed last year seeking free treatment for Afreen Ansari who is suffering from Turner’s syndrome. Afreen (13) received Rs 50,000 from the PM’s national relief fund and Rs 1 lakh from Delhi government but her recovery will take time.